On Monday the euro eased off one-month lows but gains were limited as expectations for an upcoming U.S. rate hike, as well as Greece jitters undermined the sentiment on the single currency. EUR/USD pulled away from 1.0521, the pair's lowest since March 16, to hit 1.0588 during U.S. morning trade, still down 0.14%. 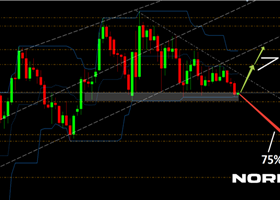 The pair was likely to find support at 1.0456, the low of March 16 and resistance at 1.0788, the high of April 9. The euro was also lower against the pound, with EUR/GBP shedding 0.28% to 0.7229. 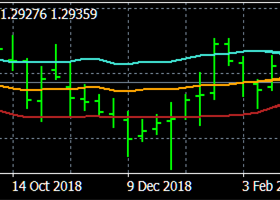 To date, the euro has dropped 13% against the dollar after the European Central Bank unveiled a trillion-euro quantitative easing program in January. Last month the central bank started asset purchases, pushing euro area bond yields to new lows. Sentiment on the common currency was also damped as uncertainty over Greece’s deal with creditors continued to put pressure upon the region's currency. Talks between Greece and its lenders on proposed economic reforms were expected to resume today, ahead of a meeting of euro area finance ministers on April 24. In the meantime, demand for the dollar remained supported by expectations for higher interest rates, as investors regained confidence that the U.S. economy would continue to recover after recent economic reports pointed to a slowdown at the start of the year. Last week the greenback was boosted as the presidents of the New York and Richmond Federal Reserve banks said the Fed to begin policy tightening as early as the summer. Some market players had pushed back the timing of a rate hike until late 2015 after a surprisingly weak U.S. employment report for March.